In taekwondo there are various types of certificates such as black belt certificate, referee certificate for sparring and judge certificate for poomsae, Hanmadang referee certificate, coach certificate etc. 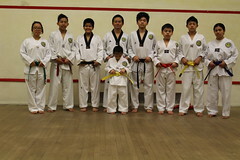 Prior to receive 1st dan black belt grade, there are various stages of upgrading test need to undertake from beginning grade such as white belt to red black belt (1 to 9Kup) in the minimum of 2.5 to 3 years period.More particularly following certificates can be achieved after accomplish of 1st dan black belt certificates issued by Kukkiwon, the World Taekwondo Federation and its affiliated organizations. Generally in Hong Kong, having three years of regular training and upgrading test, can obtain 1st degree black belt certificate. There are two types of black belt certificates, the one issued by Kukkiwon, a headquarter of World Taekwondo Federation (WTF) and other issued by Hong Kong Taekwondo Association (HKTA). WTF certificate is useful for international activities such as international competition, training, seminar and courses which are specially organized by WTF. 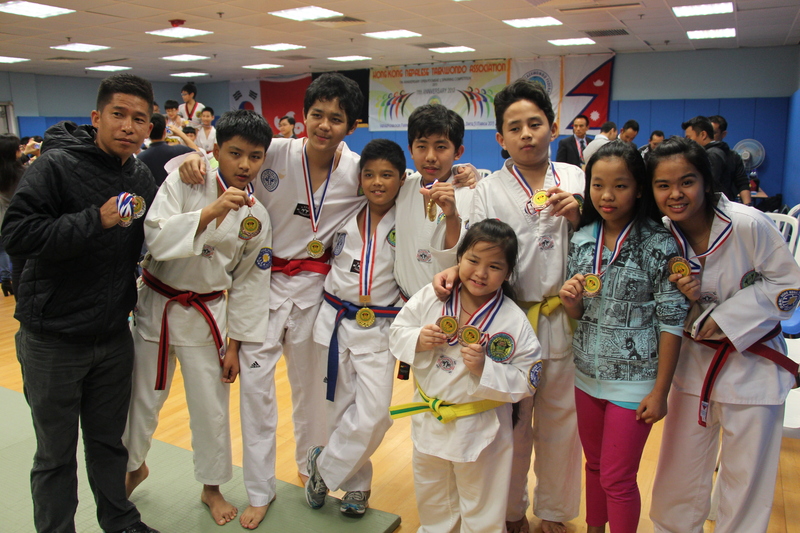 Hong Kong Taekwondo Association (HKTA) is a major taekwondo organization recognized by Hong Kong SAR Government. 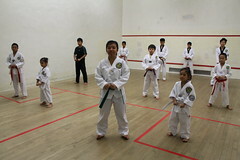 HKTA is responsible for the organizing local competitions; training and selection of national team represent the HKSAR. In addition, it also issue the national black certificate, provide trainings course such as coach, referee and judge for local taekwondo organization those who are affiliated with HKTA. The minimum requirements to obtain sparring referee course is 1st Dan black belt certificate issued by national taekwondo association which is called provisional-class referee. Referee certificate is categorized in two, which is national and international referee. National referee holder can join in national sparring taekwondo tournaments as a referee. International referee can participate in international taekwondo tournaments as a referee. 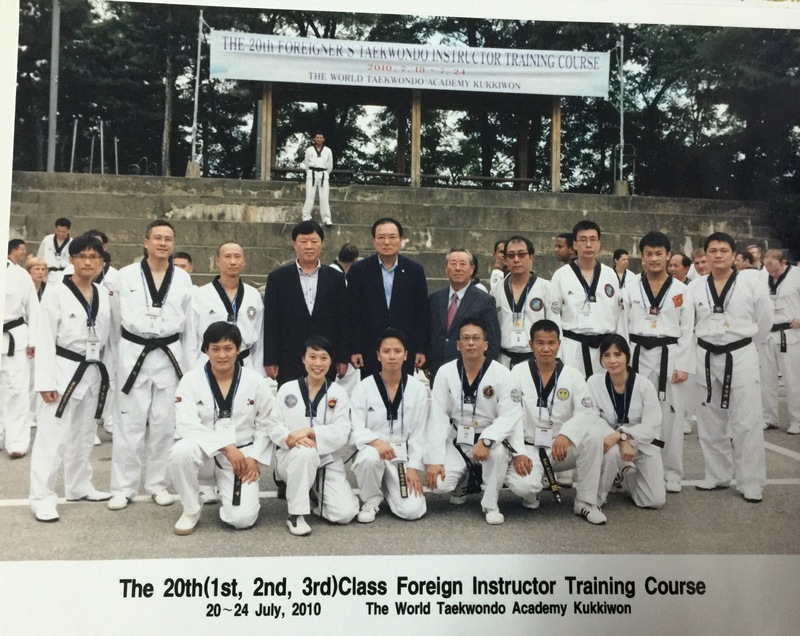 International referee course is conducted by WTF- Kukkiwon. 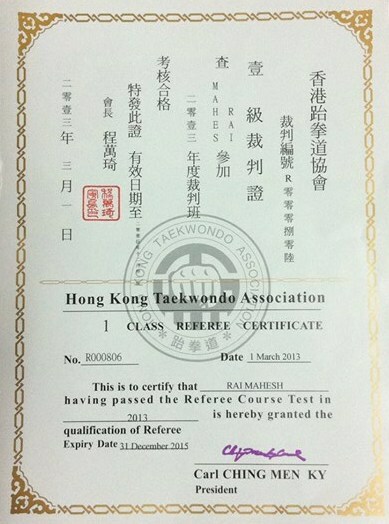 The black belt member of Hong Kong Taekwondo Association can attend the international referee course, but he or she must have minimum of 1st class national referee certificate and referral letter from president of Hong Kong taekwondo association. 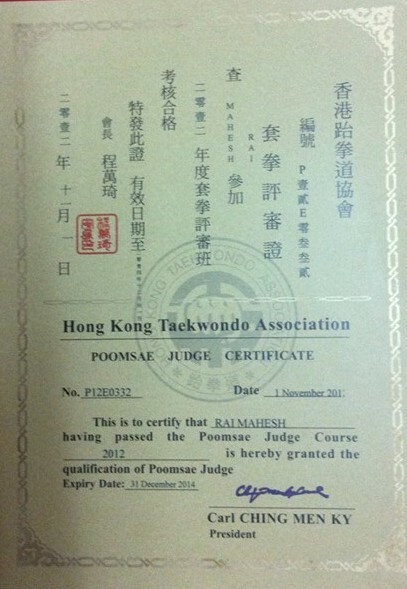 The holder of Poomsae judge certificate can participate in Poomsae (pattern) competition as a judge. There are national and international judge. The minimum requirement for a National judge, he or she must hold the 1st Dan black belt and for international judge need to complete the certain requirement including referral letter from president of national taekwondo association. 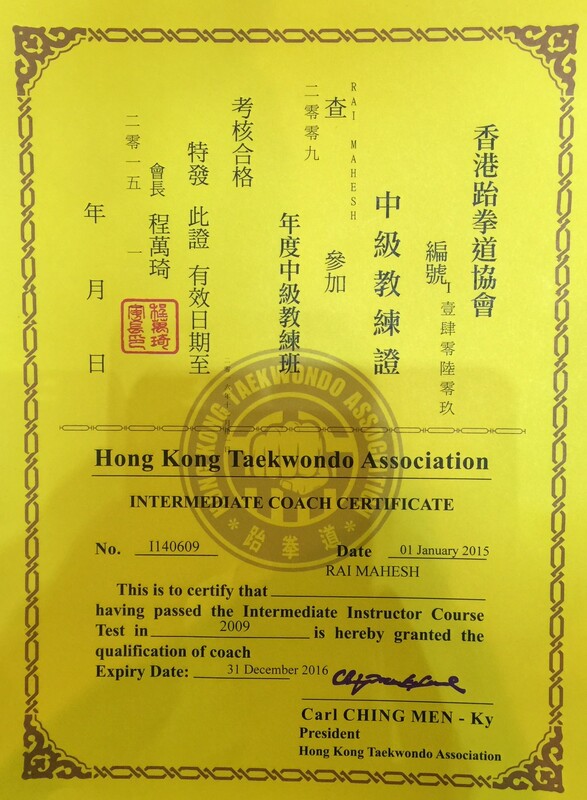 The holder of Coach Certificate shall authorize to teach taekwondo. There are two kinds of instructor certificates which are National and International. Official instructor needs to hold coach certificate to be an instructor. Taekwondo players are not allowed to participate in competition without coach presence. Only Qualified coach can guide the player during the competition. 1st Dan black belt is the minimum requirement who can undertake the national coach course. The holder of International Instructor Certificate is authorized to be a coach on behalf of participant for the international competition. The holder of 4th Dan black belt can undertake international instructor course organized by Kukkiwon and after completion of this course can obtain International Instructor Certificate. However the holders of 2nd and 3rd Dan black belt could also undertake the course but Kukkiwon will provide graduation certificate only. They are eligible to apply International Instructor Certificate after the 4th Dan graduation. Hanmadang is known as Taekwondo festival. It is organized by WTF and invited to all the member organizations from all over the world .There is various taekwondo skills like hand technique, power breaking, group and individual poomsae demonstration by participants and Hanmadang referee will be the judge or umpire of this competition. Hanmadang referee certificate holder can be a referee on that celebration. This certificate is only useful for Hanmadang festival. 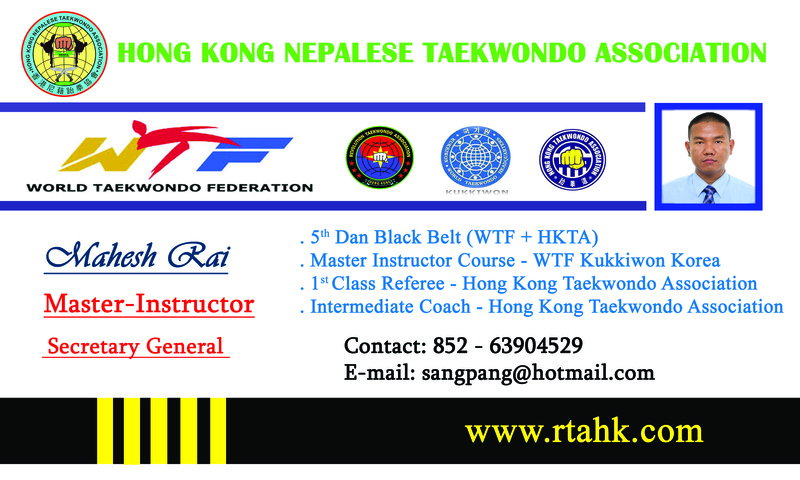 Minimum of 7 Dan black belt is eligible to join Hanmadang referee course (3rd class). The foreigners who hold the 5th & 6th Dan with International Instructor Certificate can attend this course (Except Korean national). However, kukkiwon provides them graduation Hanmadang referee certificate only and will eligible for full Hanmadang Referee Certificate after the graduation of kukkiwon 7th Dan black belt. Posted on 04/06/2014, in News. Bookmark the permalink. Leave a comment.